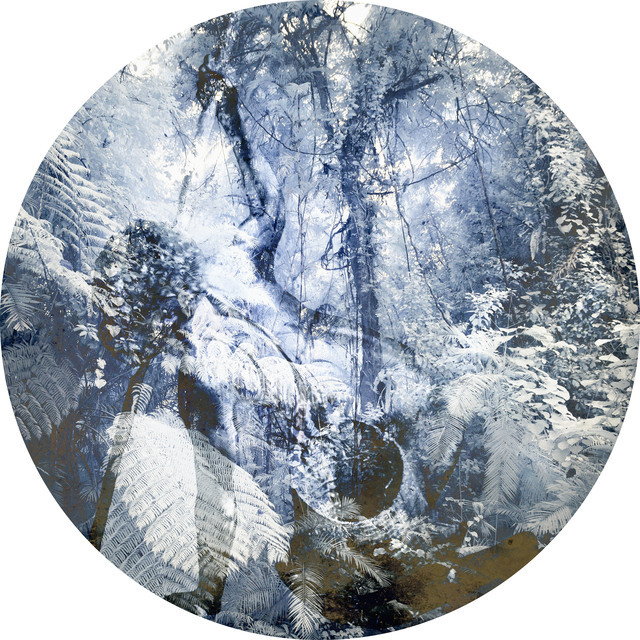 In this new sequence of works, Danie Mellor reimagines the landscape as the 'landspace', and in doing so opens up a new way of seeing history, ownership and possession of country. 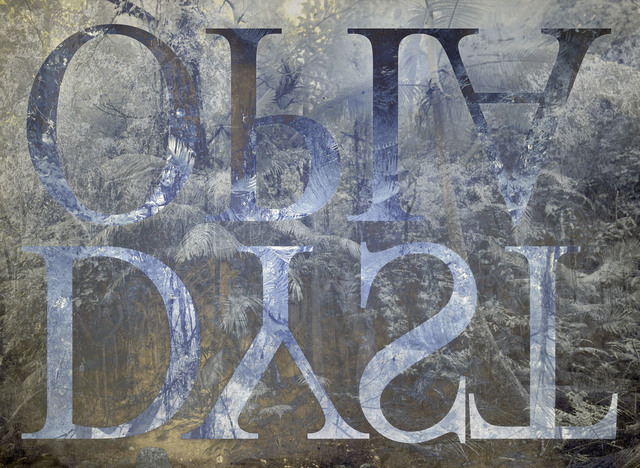 Danie Mellor presents his first solo exhibition at Tolarno Galleries entitled The Landspace: [all the debils are here]. Born in Mackay, Queensland, Danie Mellor’s maternal Aboriginal family are descendants of Mamu and Ngadjon peoples whose country is in the Atherton Tablelands of tropical far north Queensland. His father’s family emigrated from California to Australia in the early 1900s. Mellor’s significant body of work exploring Australia’s heritage through a very personal lens, has been recognised by major public museums. The centrepiece of the exhibition is Landstory, a monumental nine-panel photographic work. 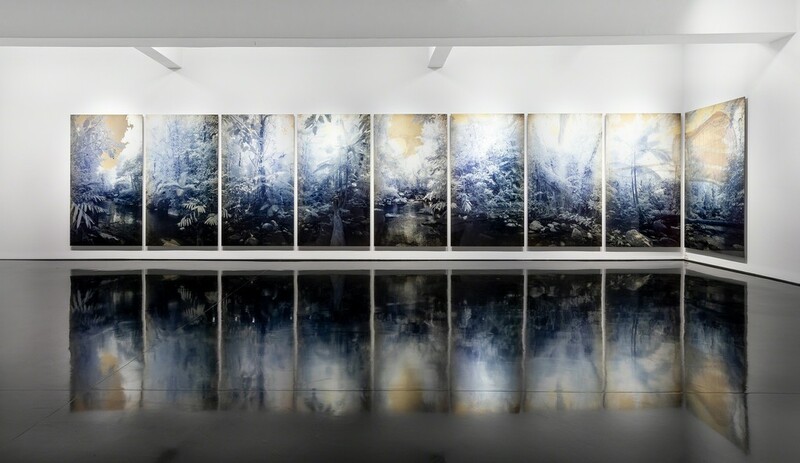 The blueprint for this piece is Sidney Nolan’s nine-panel work Riverbend from 1964, which explored his preoccupation with landscape, mythology and history. On permanent display at the Australian National University, Mellor studied this piece over many years as a student and then lecturer, at the then Canberra School of Art. 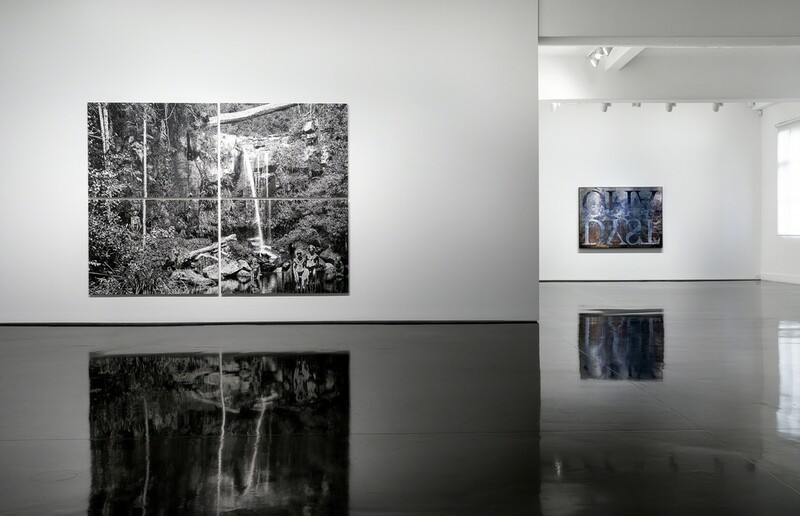 Nolan’s Riverbend emphasises the importance of a critical and ongoing evaluation of history, the inherent possibilities of image making, and contemporary revisions of the past that reshape cultural perception. 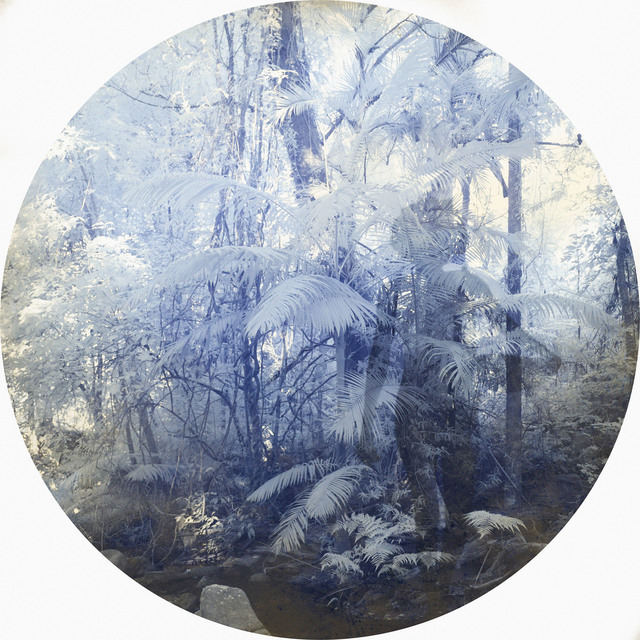 Mellor’s Landstory subtly combines his own recent photography of rainforest country – using an infrared photographic technique to reveal a light spectrum unseen by the human eye – with archival imagery from the same area, including that of late-colonial photographer Alfred Atkinson, active in the Cairns region of northern Queensland. 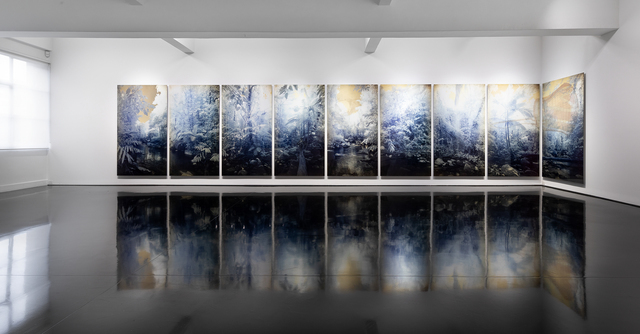 “Light embedded in archival imagery has travelled from the past, and now meets the light that is part of photographs I have taken in the present,” Mellor says. Landstory suggests something beyond ordinary experience, evoking an ancestral presence. The work creates a collapse in time – merging multiple strands of history, past and present – bringing to the surface the continuing presence of Aboriginal people, of a timeless landstory. Alfred Atkinson photographed multiple generations of Mellor’s Aboriginal family in his studio from around 1908, including his great grandmother, whom Mellor knew throughout his childhood and early adult life. A unique connection to the past. Atkinson received recognition as a sensitive portrait photographer, but he was also known for his postcard images of Aboriginal people in the environment of the rainforest. In 2013, Professor Marcia Langton curated Debil Debil at Carriageworks in Sydney, a group exhibition that included Mellor’s major nine panel work Bayi Minyjirral recalling funerary ceremonies of rainforest people. Mellor’s new exhibition evolves ideas explored in Langton’s show, as well as appropriating a key line from Shakespeare’s The Tempest: “Hell is empty, and all the devils are here.” In Mellor’s The Landspace [all the debils are here] the borrowed passage subverts and then realigns its cultural implications – we know this is not Hell, although it may have seemed it to early colonists, and it is not empty, as it was so declared. The ancestors, our debils, are always here. Danie Mellor has lived, worked, travelled and studied in Australia, England, Scotland and South Africa. His work is represented in international, national, state, regional, university and important private collections. He has won several major awards, including the 26th National Aboriginal and Torres Strait Islander Award in 2009, and the National Indigenous Ceramic Art award in the same year. Mellor’s works have been shown in significant exhibitions, including Story Place, Queensland Art Gallery and Primavera, Museum of Contemporary Art, Culture Warriors and unDisclosed at the National Gallery of Australia, and Sakahàn, the inaugural international survey of Indigenous art at the National Gallery of Canada in 2013. 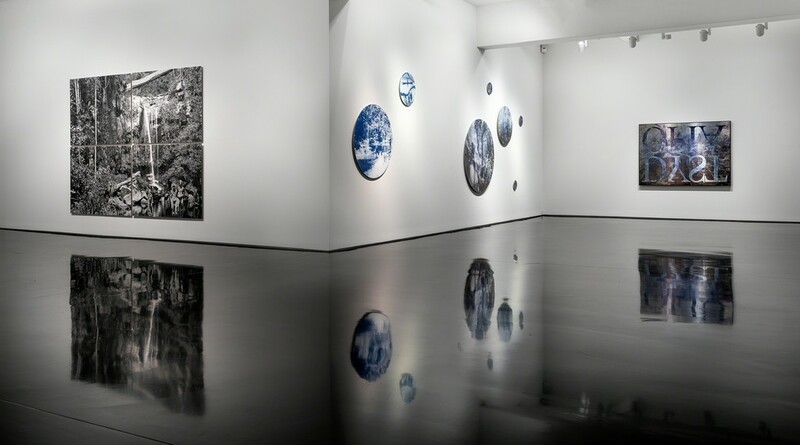 In 2014, the University of Queensland Art Museum hosted a 10-year retrospective of his practice, and a solo exhibition of his works Primordial: SuperNaturalBayiMinyjirral was shown at the National Museum of Scotland, as part of the Edinburgh Art and International Festivals. Recent projects have included Australia's largest public art project in a commercial building at 480 Queen Street Brisbane in 2015, and a major public art work of 600 square metres of photographically etched imagery in concrete as part of the landscaped redevelopment of Darling Harbour in 2016. 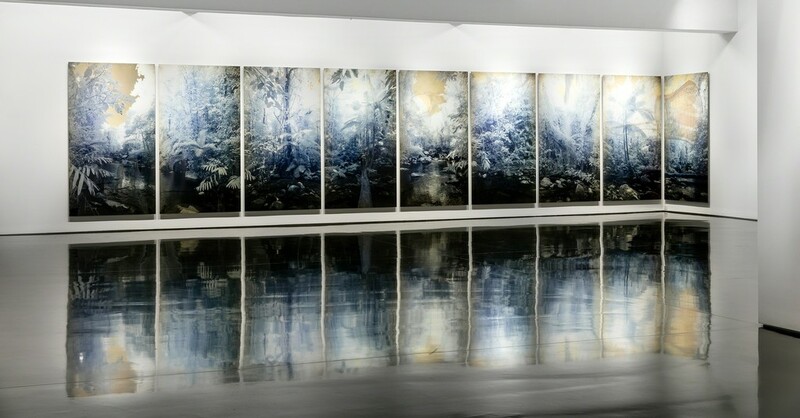 Major works were created for the 8th Asia Pacific Triennial at QAGOMA in 2015, the Adelaide Biennial of Australian Art at AGSA and the Samstag Museum in 2016, and the inaugural Yinchuan Biennale For an Image, Faster Than Light held at the Yinchuan Museum of Contemporary Art in Ningxia Province, China. During 2017 and 2018, Mellor’s work was included in Tracks and Traces at the Negev Museum of Art, Israel. 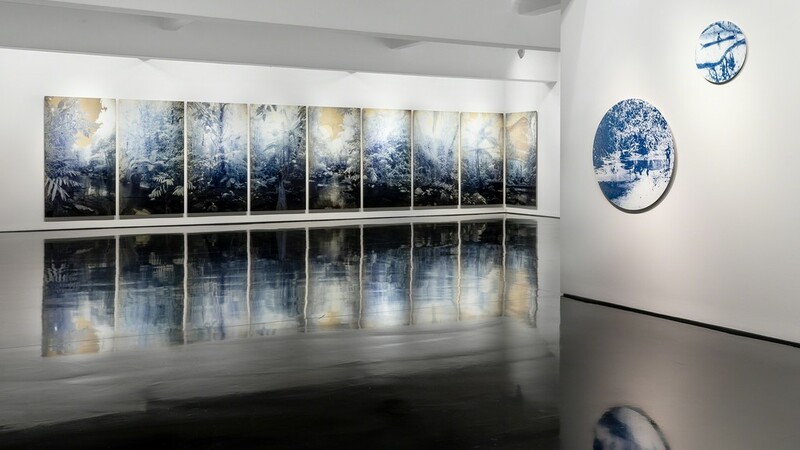 Two solo exhibitions were presented: Proximity and Perception at Cairns Art Gallery and Pleasure and Vexation – the strata and spectacle of history held at Pataka Art + Museum, New Zealand.